Seven hours at school followed by two hours of homework coupled with a few hours in learning a new language or similar extra-curricular skill with regular doses thrown in of fiddling with a tab or phone – that’s the typical schedule of today’s children who aspire to be our successful & bright future. As if this is not enough to make you cringe, dozens of indoor play areas, gaming zones and spas & salons (yes, you read it right!) mushrooming all around us are leaving no opportunity, time and even desire for our children to explore the outdoors. In reality, time in nature is good for everyone. But time in nature for children is vital. And why not? After all, kids are naturally drawn to the outdoors and there are numerous benefits of outdoor play. 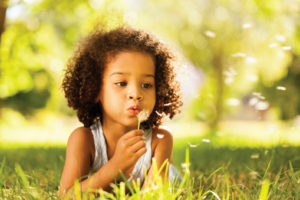 The smell of flowers, touch of sand, sound of crackling dried leaves – playing outside provides many such experiences for kids to see, touch, smell, hear and taste. Observing squirrels playing or bees pollinating can give a child a different view of the world and learn how it works. 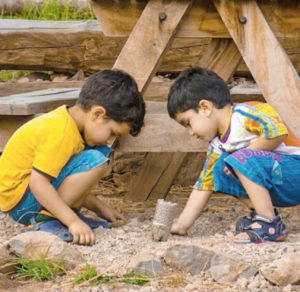 Outdoor play can encourage children to interact with each other and learn how to be social. 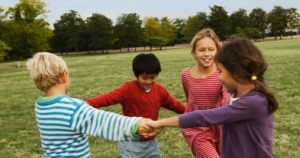 From learning to take turns on the slide to making teams for hide & seek to communicating with adults and fellow kids – spending time outdoors helps develop their social, emotional & team-building skills. They have to settle agreements and choose their roles in their imaginative free play. It’s a different scenario from indoor play because it’s unscripted. Children have great need for physical exercise & activity. Playing outdoors gives them a chance to use their muscles to run, jump, hop, etc. 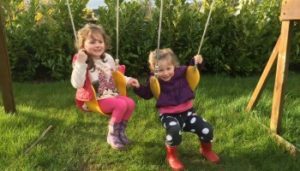 A ride on the swing might seem monotonous to you, but in reality your child is gaining an understanding of balance, spatial reasoning, flexibility, coordination and so much more about their own body. Furthermore, exposure to sunshine allows for Vitamin D production. Deficiency of vitamin D is one of the most common deficiencies in children today because of increased indoor activities and stress. A better health ensures reduced stress levels and contributes to your child’s overall well-being. A playground can have some nasty germs. Early exposure to such dirt, bacteria, animals, grass, etc. helps build up their immune system, better protecting them against allergies and deficiencies by allowing the body to defend itself naturally. However, the way kids love hiding around the bushes, pesky mosquitoes love that too! Ensure to keep your little one protected from Dengue & Chikungunya causing mosquitoes using a natural & safe mosquito repellent. Goodknight has easy-to-use outdoor mosquito repellents so that your child is protected even when outdoors. These are most effective for kids who are always on a look out for opportunities to play in the outdoors freely. Goodknight Fabric Roll-On: Just applying 4 dots of the Goodknight Fabric Roll-On product on their clothes would ensure 100% natural protection for up to 8 hours. While as Parents we should give enough opportunity to expose our kids to the beautiful outdoors, it is equally important to ensure their protection from Dengue – causing mosquitoes. Another outdoor repellent to try are the Goodknight Patches. These can be stuck onto your child’s clothes and preferably at the back so that there are no chances of your kid pulling it out. The best part is that both the above mentioned products are paediatrician certified and hence completely safe to use on kids. 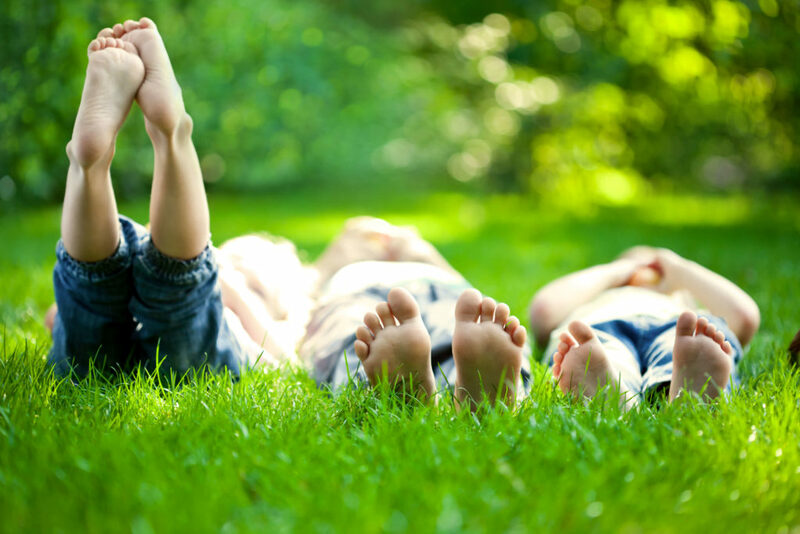 Children who spend more time outdoors have a tendency to sleep better. While physical exercise is one factor that helps here, it’s actually the exposure to sunshine that can help a child catch some good dreams. Sunlight stimulates a small endocrine gland known as the pineal gland. This gland helps with the release of melatonin and regulates sleep patterns. This also has a direct impact on the child’s attention span. Outdoor play also stimulates imagination! Let your child play outdoors and you will see how sticks become swords or magic wands or even a fishing pole and pebbles double up as mountains! I see so much more creativity and imaginative play when we play in nature. Undoubtedly nature is the ultimate open-ended resource of creativity. With the inbuilt human need of freedom and independence, a child feels more comfortable and confident outdoors than being confined in four walls. Open outdoors give a sense of liberty and helps the child gain self-confidence. Playing outdoors lets children observe nature first hand. They look at things beyond the screens. Remember what it was like climbing trees, catching bugs, running freely or simply observing the squirrels. All these experiences cannot be replicated by any video game or a 4-D simulation. 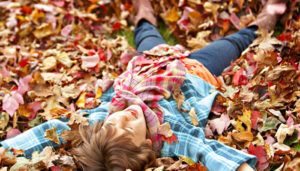 Outdoor play helps children develop a sense of ‘Natural Awareness’. By letting kids spend time with nature, they learn to appreciate and respect nature. This is crucial to help our children develop a sense of empathy towards nature and grow up as adults who would want to take care of it by opting for eco-friendly choices in life. When playing outside, children feel unbound; they don’t have to worry about dirtying the house, breaking something, or making a mess. They are also able to run freely without any restrictions and express their creativity. So, what are you thinking? Step out with your family for some play time! We totally see all these benefits in our kids and try to get out as much as possible…especially for the great sleep and immune system boosts! Totally believe in outdoor play for kids…It definately make the child to explore and discover the enviornment. Kids need all the fresh air they can get. I believe in the benefits of outdoor play. Great post will help reiterate the importance of nature and outdoors to parents. True playground is a place we get to learn too many things. We recently had a community park innaugerated near our house. Since then I’ve been taking my kids out to play in the park. And yes I can feel all the benefits that you have iterated in the post. I’ve always been a fan of outdoor play over staying indoors. My baby has visibly better social skills and less ill health issues from the time we ventured out. I love being outside, my kids on the other hand hate the heat. This year we are moving up north and can’t wait to have some cooler weather. Wonderful. Outdoors r the best. Agree. Outdoor play is so important and good for kids too. Sadly these days kids dont like to go out as much as we want them to be outdoors. We have recently started taking our 17 month old son to play ground. He loves it there. I have to agree with every word in your post. This is the reason I love going to my hometown. My kid can just practically live outside the house. Loved this article! We make sure to go outdoors to play ya almost regularly! Love taking my little one to the playground and watching him explore! Thank you. I am glad you found the article helpful. Absolutely agree. My 17mo drags me to the park everyday at sametime & loves palying in all sorts of dirt for hours. And Goodnight mosquito repellent patches are our companions since park visits started. There is no place like in the midst of nature and fresh air. It is a must for children to spend time outdoors. Of course it can be scary with mosquitoes out there. But there are products available like the GOod Night roll on which can protect them. Loved your post.. I always encourage outdoor play and it really helps in my child development..